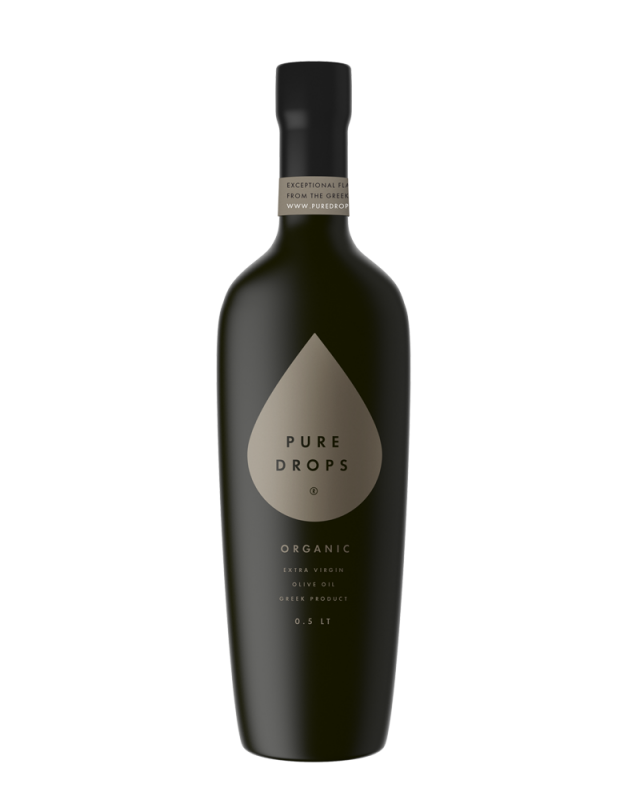 PURE DROPS® oils come from selected olive groves in the Peloponnese, providing our customers with the best extra virgin olive oil. Their production method combines both traditional methods and new technologies, ensuring that the nutrients of olive oil will be abundant and their taste unique. 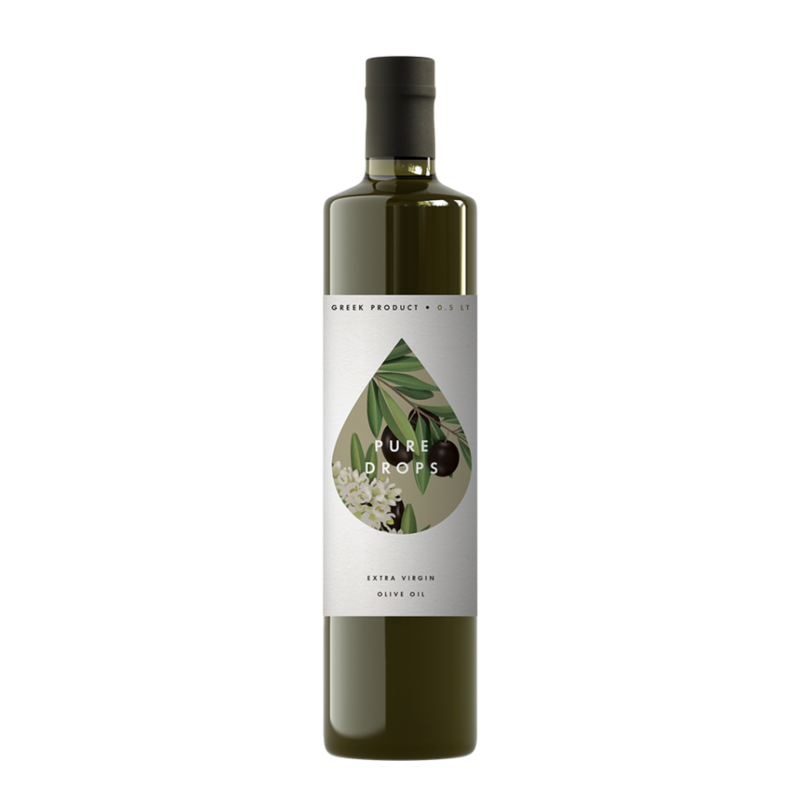 The olive tree is handpicked, washed, processed at the right temperature and the oil is carefully stored throughout the year in large nitrogen tanks giving the best extra virgin olive oil. 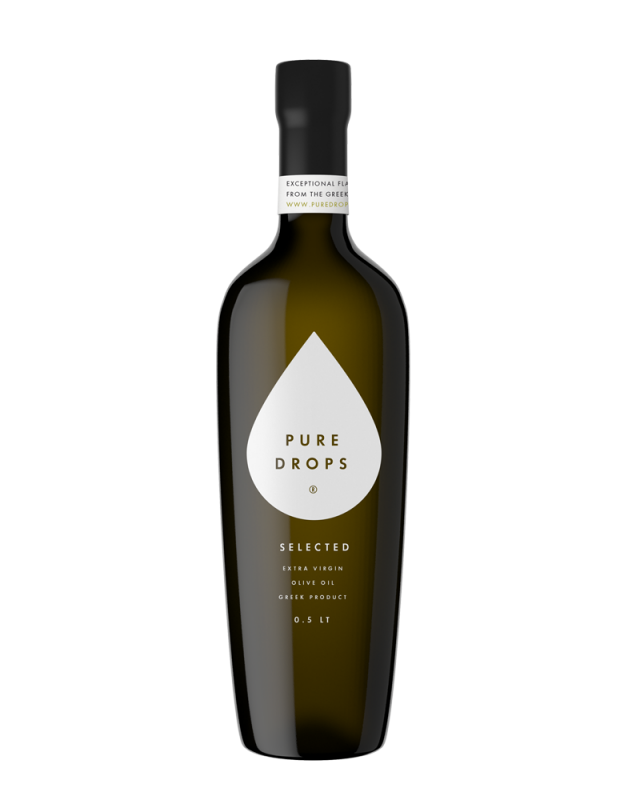 The extra virgin olive oil PURE DROPS® 0.5LT has a deep golden color, a fruity, sweet and gentle taste, with an essence of green olive leaves. It is 100% cold-pressed keeping all levels of flavor, nutrients and antioxidants at the highest levels. No chemical fertilizers, preservatives or toxic pesticides used for the production and maturation of olives. 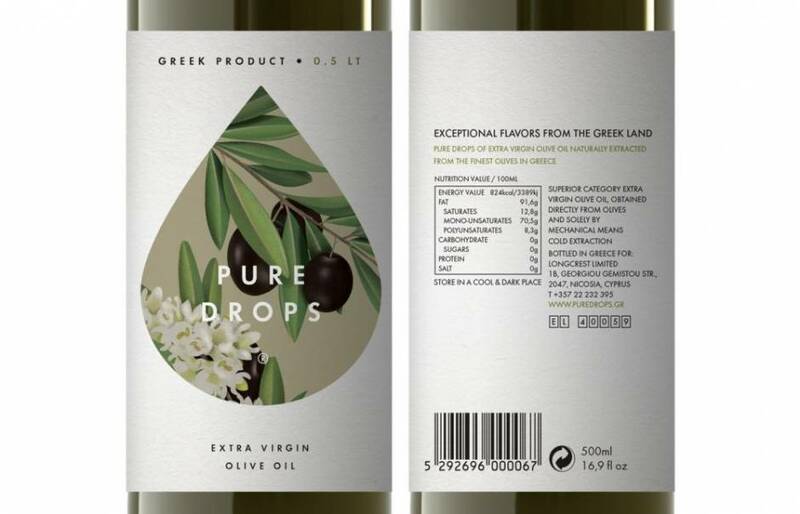 The extra virgin olive oil PURE DROPS® is a high-quality olive oil, ideal for your daily diet! 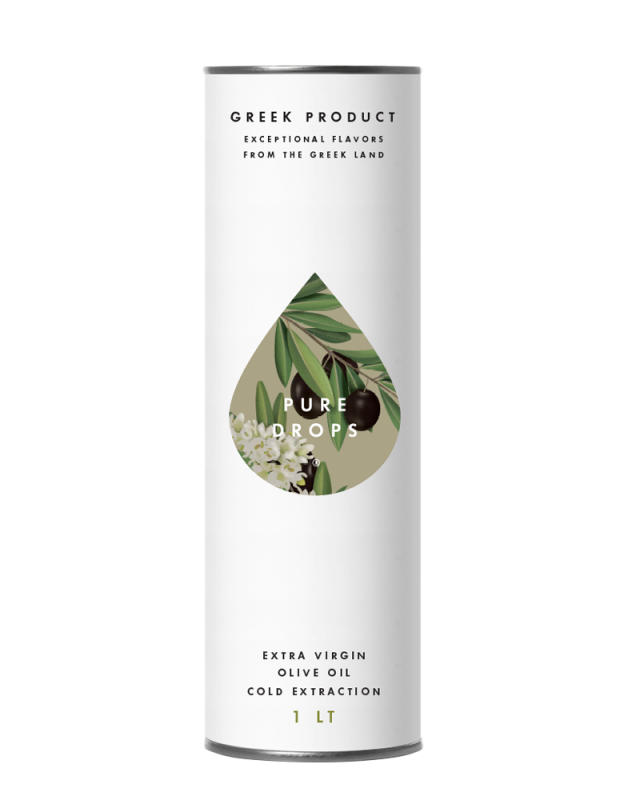 PURE DROPS® oils come from the best olive groves of the Peloponnese region. They are characterized by their deep golden color, fruity and aromatic essences – with most significant the ones of green herbs and green apple, spicy of moderate intensity.